“Justice League” has been shrouded in mystery since it was announced, but set visit reports shared new details about the DC Comics tentpole, and Warner Bros. released an official plot synopsis on Tuesday, as well. While “Batman v Superman” climaxed with the titular superheroes teaming up with Wonder Woman to save Metropolis and Gotham from Doomsday, prepare for an even bigger villain to launch an “assault of catastrophic proportions” on the entire planet. The movie’s logo (above) has also been released. Chris Terrio wrote the screenplay, while Charles Roven, Snyder and Deborah Snyder are producing. The cast returning cast from “Batman v Superman” includes Ben Affleck, Henry Cavill, and Gal Gadot. 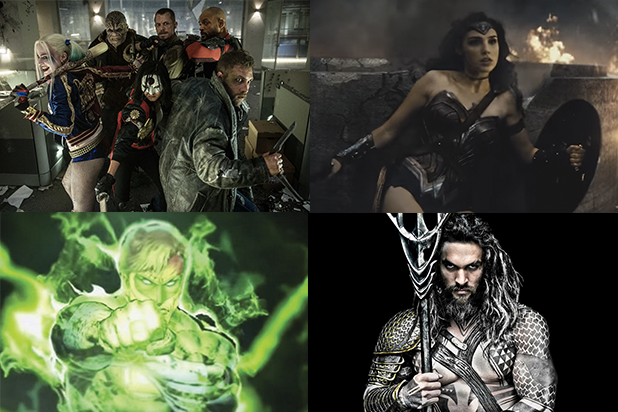 New cast members include Ezra Miller as The Flash, Jason Momoa as Aquaman, and J.K. Simmons as Commissioner Gordon.